Gold is a dance field pioneer who has led a movement that continues to change and improve the face of dance education. 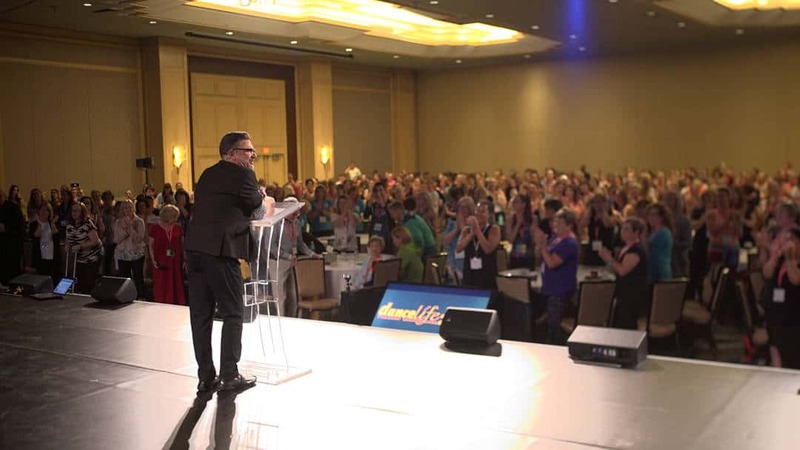 Teachers and studio owners from the United States, Australia, Canada, Grand Cayman, Italy, Japan, Mexico, Philippines, Singapore, United Kingdom and more flock to his retreats, seminars, keynote speeches, and conferences to gain fresh perspectives. His columns, inspirational messages, and opinions are shared all over the world. With a remarkable record for business success, Gold has consistently brought unique and innovative concepts to the dance education field. venture. It is the world’s first business association for dance school owners with the purpose of offering its 300+ world-wide members the tools to grow their businesses and create a culture of success. I.D.E.A. is improving the face of dance education, one school at a time. Gold owns the DanceLife Store, which offers business and classroom tools, music, curriculum and books. Rhee’s writing has propelled his philosophies world-wide. 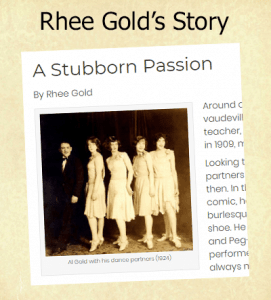 Gold's inspirational posts and articles have been shared by millions who are passionate about dance. He is the author of The Complete Guide to Teaching Dance: An Insider’s Secrets to Personal Reward and Financial Success, now in its second printing, He has been an education columnist for Dance Magazine, Dancer magazine and is the author of hundreds of articles and columns for Dance Studio Life magazine and other publications around the world. Gold gives back to the dance community through volunteer work with many organizations. He has served as board member and president of Dance Masters of New England, Dance Masters of America , United Dance Merchants of America, and the Founding Co-Chair of UNITY. Currently he serves as a board member for I'm a Dancer Against Cancer, the Andréa Rizzo Foundation, and as an advisory board member for Dance Educators of America. Gold received Lifetime Achievement Awards from the Industry Dance Awards (2014), Dance Educators of America (2015) and Dance Masters of New England (2016). Launching his first school at the age of fifteen, at a low-income housing project, he learned that dance does change lives. This experience began his mission to insure the best dance education for every child, regardless of his or her financial standing or technical abilities. Gold founded and taught at the Dance Theatre of Boston and Gold Studio III, both Boston based professional schools. He has owned and directed the the Gold School in Brockton, MA, which is now under the direction of his twin brother, Rennie, preparing for its fifty-fourth season. Gold has taught jazz, tap and choreography workshops for the Second International Congress of Dance, Dance Masters of America, Dance Educators of America, National Association of Dance and Affiliated Artists, World Jazz Dance Congress are a few of the organizations that Gold has served as a master teacher.